If you are looking for a little inspiration each day, take a look at the Lenten Reflections written by CBC students. Each day there is a short paragraph or two to help you during Lent. CBC Students come from a wide number of parishes and churches in the Saint Louis Area. The links below provide ways to get connected in practicing your faith. CBC students come from every region of the Saint Louis area. And, there are parishes close by to everyone. This page provides links to the parishes, and a map to find them at the bottom of the page. There are numerous parishes that have Masses specifically geared to teens. The music, style, and time are all designed to be available. There is a list with times, as well as a map to see where the parishes are. Looking to have some fun? Meet some teens from other schools? Grow a little in your faith, or learn more about the bible? 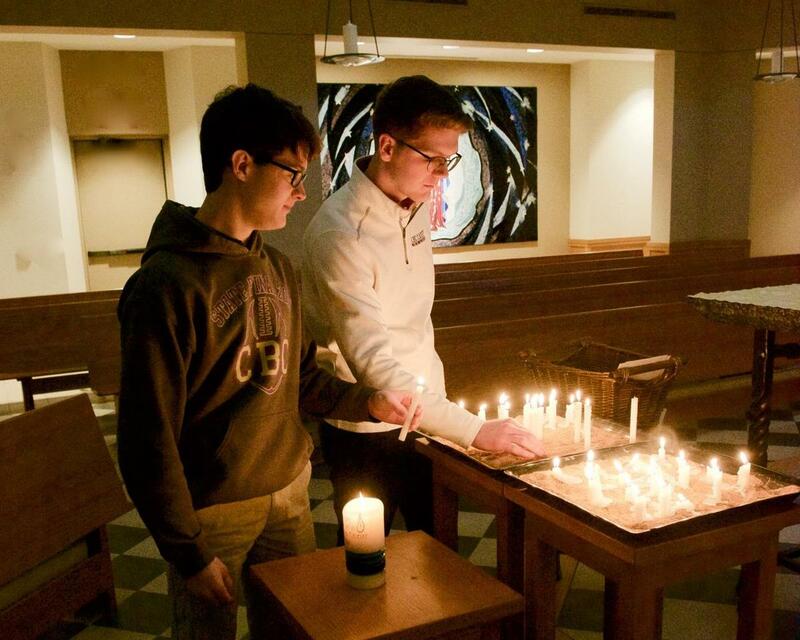 Parish youth groups provide a variety of activities designed for teens. Take a look to see if there is a youth group near you. Sometimes it is a good thing to find some silence, sing some songs, adore the Blessed Sacrament or hang out with God. This page provides a list of all places where there is prayer, praise and worship available.